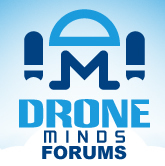 Discussion in 'Drone Beginners Corner' started by MikeR, Nov 11, 2016. Hello, I am new to the forum and just recently fell in love of the idea of FPV Drone racing. I have a small back ground in RC planes and am just getting into Drones. I need some help with my fist purchase. I am looking at getting 2 drones right away. One small for indoors and 199mm one for outdoors. I already have the devices that I would like picked out. I want to make sure that everything I get will work together. Also I would like to know what entry level googles would be good for me that will also work with both drones. What receiver do I need to get to bind my OrangeRx to the LokiX5? What googles can I get that will work on both in the low to mid price range? With this package of things what else might I need to buy? Any help would be great. Just a noob looking to make sure he gets everything he needs that way I am not disappointed. The drones look all right. I'd be tempted to get the recommended radio and receivers though, the one suggested on the helipal page. Also, I never bought anything from helipal before, so not sure what they're like, have you? I think they are in China, which isn't bad in itself, just might take a while to reach you? I think pretty much any radio/receive setup will work to fly the drones. I never tried the Orange radios before. I did have a couple of Futaba clone Orange receives before that worked. I think you might want the one recommenced though because of the sbus connection on the TBS board? Not sure the Orange receivers have that, might be wrong though as I haven't looked at their stuff in years? The second drone looks good.